In this video, Attorney Robert Maranto no-fault medical examinations that are required after a car accident. Contact one of our experienced car accident attorneys in Buffalo if you were seriously injured. 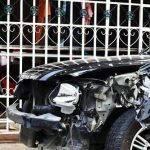 People who are involved in motor vehicle accidents often immediately think that the insurance company of the vehicle implicated in the accident is a trustworthy adviser. Representatives from these companies appear to be the knowledgeable guides who will help accident survivors through what is a very difficult process. Unfortunately, this is false. 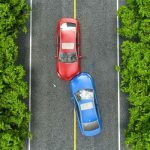 The insurance companies of the vehicle involved in the accident have a duty to their shareholders, and paying as little as possible in cases will protect the shareholders. In the contracts for every insurance policy in New York State, it is stipulated that the insurance companies are able to hire what they call independent medical examiners to inspect victims of an auto accident. These doctors provide a rudimentary, cursory exam —if they provide an exam at all—and look at medical records. The examiners then determine whether the victims should be allowed to have additional medical benefits or return to work. These doctors will not be fair. Independent medical practitioners are hired by insurance companies because the companies know that the doctors will do whatever the insurance companies want. When a client meets with one of these doctors for an independent medical exam, the key is to ensure that the medical examiner knows exactly what the client’s injuries are. Overstating injuries is the kiss of death to a case. As soon as an independent medical examiner begins to think that someone is overstating her or his injuries, the tendency is to include this in the exam report and cut people off. We also do not want people to understate their injuries. In an independent medical examination, it is important to be honest, to neither understate nor overstate, and to simply respond to all questions asked by the independent medical examiner —as long as the questions are appropriate and related to the accident.